Hungary thanks the Czech Republic for support of the Hungary’s defence within its controversy with the EP - Czech Republic marked the 29th anniversary of the beggining of the Velvet Revolution - the EU defence ministries approved 17 more Permanent Structured Cooperation (PESCO) projects, Czech Republic has joined the multinational team developing the MALE RPAS - the Chief of General Staff General Aleš Opata confirmed the armed forces urgently need to make a series purchases – Czech Government survives the vote of no-confidence – Pandurs II CZ presented in Indonesia. On 16th November during his visit to the Czech Republic the Hungarian Foreign Minister Petér Szijjarto thanked the Czech Republic for support of the Hungary’s defence within its controversy with the European Parliament over the Hungarian internal developments, alleged breach of EU values, which is an unprecedented move against any EU member state. The Czech Republic criticized the decision as unfortunate, arguing that dialogue would have been a better option. On 17th November Czech Republic marked the 29th anniversary of the beggining of the Velvet Revolution and the fall of communism in 1989, with public gatherings, concerts, and other cultural events taking place around the country. And of the 79th anniversary of Nazi repressions on academic ground in 1939, after students organised a march to commemorate the death of Jan Opletal, a young man killed by the Nazi occupiers. The day is marked as the International Students’ Day. Janes.com infoms that the EU defence ministries approved 17 more Permanent Structured Cooperation (PESCO) projects during their meetings in Brussels on 19th and 20th November. The projects include a German-led proposal supported by Belgium, the Czech Republic, the Netherlands, and Spain to share bases and other infrastructure within and beyond Europe. 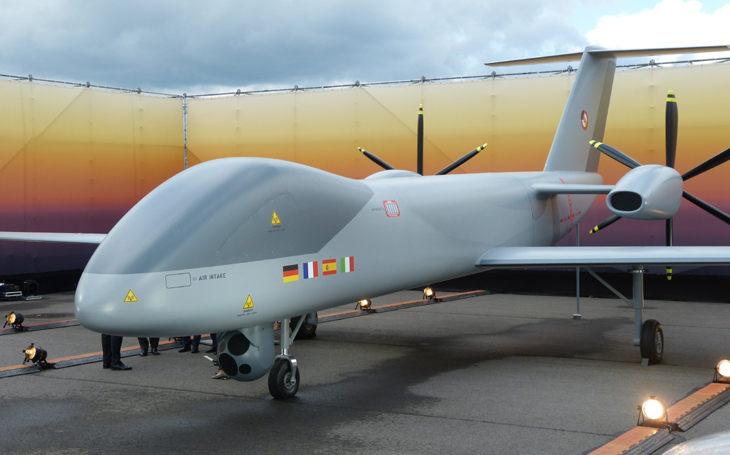 The Czech Republic has also joined the multinational team developing the European medium-altitude long-endurance (MALE) remotely piloted air system (RPAS). On 21st November the Chief of General Staff General Aleš Opata confirmed, during a military command meeting with President Miloš Zeman and Prime Minister Andrej Babiš, the armed forces urgently need to make a series purchases, ranging from protective gear for soldiers in the field to helicopters and radar systems. Opata said the troops need ballistic vests and helmets, small arms, drones, NATO-calibre artillery, infantry fighting vehicles, three-dimensional Mobile Air Defence Radars, and multipurpose helicopters. President Zeman expressed his support for increasing the number of Czech soldiers serving in Afghanistan under NATO and said they should engage in combat against terrorism. The Government of Prime Minister and ANO leader Andrej Babiš faced a no-confidence vote on 23rd November. It was initiated by the opposition following allegations that Andrej Babiš’s son was deliberately kept abroad to avoid being questioned about his father’s charges of wrongly acquiring EU subsidies. Only 90 MPs voted against the Government out of 101 needed.